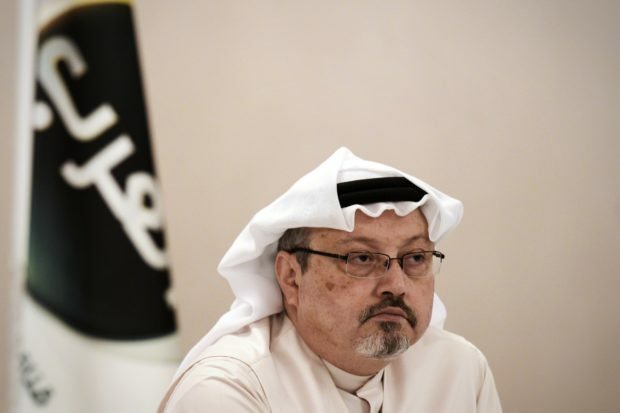 MSNBC anchor Chris Hayes used the disappearance of a journalist in Saudi Arabia to spread a conspiracy theory about President Donald Trump. Trump has repeatedly said that the United States has to “wait and see” on the situation, and Hayes suggested that the Saudis are bribing Trump to keep quiet on the issue. “Would be nice to definitively rule out that the Saudis are paying the president massive bribes in exchange for tacit approval for murdering critics!” Hayes tweeted late Wednesday night. Would be nice to definitively rule out that the Saudis are paying the president massive bribes in exchange for tacit approval for murdering critics! Hayes then used his self-generated conspiracy theory to call on Trump to release his tax returns. “Give Americans some actual transparency into the president’s personal and Trump Org finances,” he demanded. And it would be easy to do: give Americans some actual transparency into the president’s personal and Trump Org finances. Journalists have previously raised questions about Trump’s arms deal with Saudi Arabia, which is worth more than $100 billion.